Exactly how full is your glass? Picture a big glass goblet filled to the halfway mark with water. 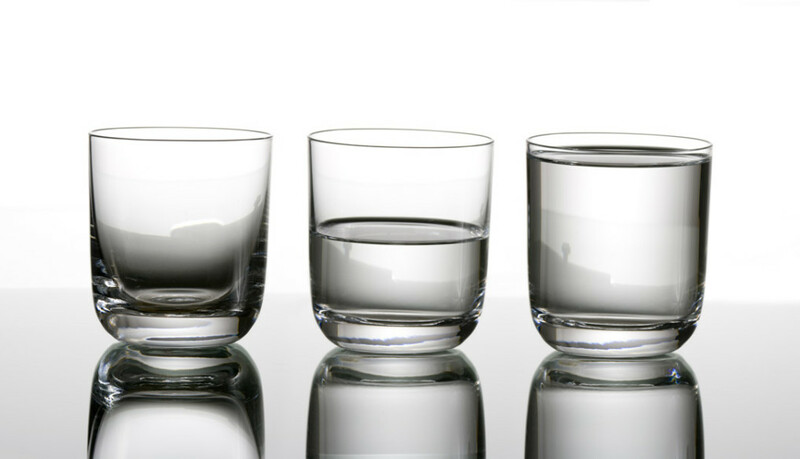 How do you see it—half-full or half-empty? Consistently finding the glass half-empty—and the world as a difficult place— is a hallmark of negativity. Research has found that a negative outlook can contribute to everything from depression to heart disease to lowered immune system function. It can affect sleep, weight maintenance, the quality of your relationships, your social life, and even your ability to hold a job. Now imagine what it would feel like to approach life from a place of positivity, fun, connection, health, and possibility. Sounds good, doesn’t it? Give compliments freely. Notice the good in others. Praise every person you interact with. Maintaining a positive outlook takes practice, and the more you do it, the easier it gets. The payoff—a happier, healthier life—is absolutely worth the effort. What are your trick to stay happy? Share them in the comments below! This entry was posted in Health Coaching by Anne Louise. Bookmark the permalink.